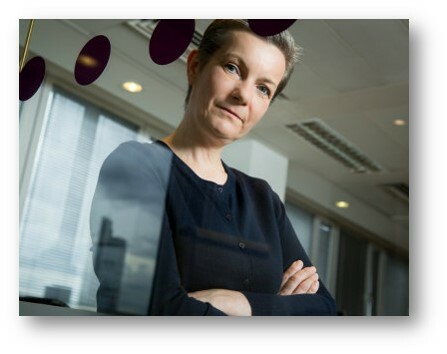 Ms Sutcliffe commenting on the potential of digital integration between the care sector and the NHS. With easy access to a care knowledge base built up over years about the patient, by family, carers and care facilities, it’s simple, using the digitally available My Passport and My Story, to quickly better understand the preferences and needs of new patients. This can greatly enhance person centred care delivery. Acute care strategies can be developed that are bespoke to the individual based on known preferences and on content and communication that is documented as being able to ease stress upon admission, generate engagement, lower agitation and reduce the resort to medication. Familiar media content and activities can ease a transfer to and from the ward and visiting family and overnighting primary carers have a suite of familiar entertainment and activities at their fingertips with which to ease the change in circumstances. ReMe promotes wellbeing and reduced cognitive decline, earlier discharge and a better step down process. When a resident moves to a local hospital or care facility, ReMe can 'travel with them', thereby making vital knowledge of the resident available to ensure optimised person centred care. A simple record of Physical and Mental health conditions, certified by the care home, although basic, can prove valuable in certain situations where a full care record is not available. Remotely accessible Life Story creation and family photo and media repository. Bespoke 1:1 reminscence sessions based on personalised My Story and means to explore personal themes. Life Story can be used to design calming strategies through knowledge of the person. 1:1 reminsence can further explore themes that induce calm. Knowledge of the patient held in ReMe and acquired across years of care can be vital in empowering nurses to deliver person centred care. Entertainment that fits the interests of the patient or a group of patients is easily available as readily available personal music playlists and multi-media sessions for calming and entertainment. Skype and messaging built in, family photo and media upload. Remote access for family and carers. Multi-platform enabled. Of use to visitors using their own tablets and wanting to remotely engage with family. ReMe provide daily activities that are familiar, offer reassurance and comfort. With highly bespoke content, there is the potential for enhancing the sense of self. 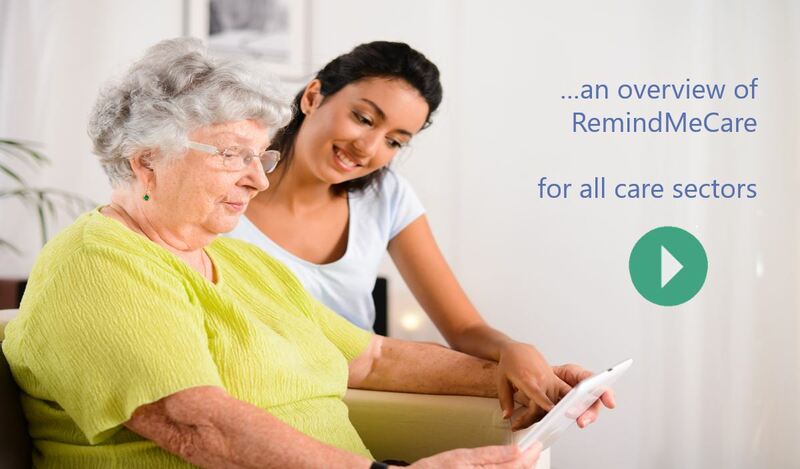 With greater connectivity with the care circle their is an increased sence of well-being. With a means to explore personal experience, discovery of the past can be highly rewarding. Nurses have to find ways to better know their patients, those that are being cared for elsewhere, so as to be able to provide true person centred care. But they have little time to engage. By being easily and quickly informed about the patients’ Life History they can improve communication, more easily find ways to engage that provide reassurance and comfort to the patient and have knowledge at their fingertips as to how to reduce agitation in the manner undertaken currently by their principle carers. For any ward, having knowledge of a new patient that is up to date, can have a dramatic effect on the quality of care that they deliver. It can impact on the nurses own well-being and on staff morale, whilst delivering better informed person centred care to agitated persons with dementia through administering informed acute care, can potentially enable earlier discharge. With carers increasingly staying overnight in wards, the ability to use a tablet and process that is familiar to the person with dementia can be of great assistance. With limited staff on a dementia ward, it’s crucial to find means to occupy the time of the patient and in a manner that engages and ideally reduces agitation. 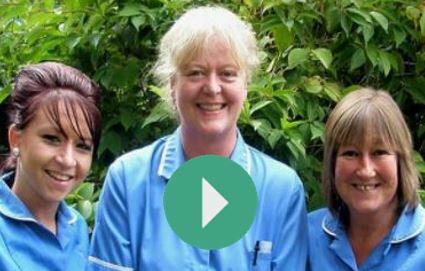 RemindMeCare makes it possible for the ward to improve their delivery of person centred care and to develop acute care strategies. David has been bought to St Luke’s Hospital by the care home (it could have been a primary carer, or live in carer…). The following is his idealised journey, from admission through to daily ward care and to step down and discharge, reviewing his experience and the capabilities of ReMe along the way. At admission, the nurse assesses David and the carer before leaving, advises her that the care home uses RemindMeCare (ReMe) and that she can access knowledge of David on their ward pc and tablets. Having already joined the ReMe network, the nurse is able to click onto David and view his This Is Me, My Health Passport and information on Risk, Preferences and other personal history data on screen. David becomes agitated courtesy of the unfamiliar surroundings and the nurse pulls up ReMe and sources the last content that David had been communicating about the day before. She sees in image format that he had been in the care home garden and had discussed his love of sailing with his wife Jane. She uses this quickly gained knowledge to engage with and calm David, and he responds to a discussion about sailing. Now calm, she does not have to resort to medication and is able to complete his admission processing. Once David is settled, the nurse prints out a This Is Me personal summary, that includes key risk information (such as that David has a visual allergy to red, dislikes coffee, is a good sleeper but wakes up very early). She ensures that its posted by the bedside so that the other nurses can adapt their relationship with David accordingly. 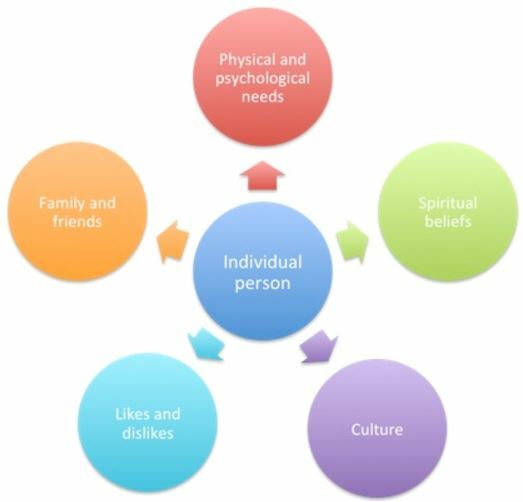 The ward is an advocate of person centred care and seeks to know key facts about the person; their faith, culture, their likes and dislikes and key facts that define the person as they see themselves. ReMe provides them with a one button touch means to access this information, and in a fun multi-media presented format. They use tablets to engage David in familiar activities, such as reminiscence using his personalised My Story content held within ReMe. 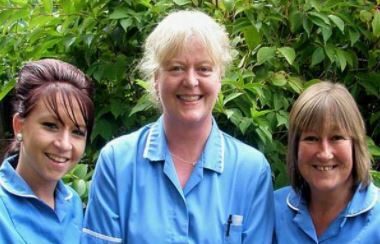 The nurses find engagement with David much easier, and even rewarding since they can communicate using specific topics some of which even resonate with the nurses, since one of them also used to live in Manchester, David’s home town. He enjoys ReMe’s CST activities, all of which he’s used to participating in at the care home – and by talking to him about topics that are known to interest him, he becomes more relaxed. Sessions are also held in the wards’ Activities area, where ReMe can display reminiscence sessions on a large screen for groups of patients, as well as in quiet areas where they can assist reduce agitation and achieve engagement between patients with common interests that ReMe has been able to identify. Medication is not required by David and his wellbeing is better maintained. When his family visit, they can engage with David using ReMe as a means to present family photos that keep him feeling part of the family and they can discover new content as conversations emerge. ReMe works for any culture and any age group. New discoveries are automatically recorded in ReMe and if they are appropriate they can be adopted by the nurses as part of their ongoing engagement acute care strategy. The family feel reassured that the nurses are getting to know David as a person as well as as a patient and that he is being communicated with on a personal basis. It’s easier for one of them to stay overnight should they wish to do so, since they have entertainment in ReMe that David enjoys, such as music, his favorite radio show ‘The Goons’, and family photo albums. David’s health and wellbeing are stable. 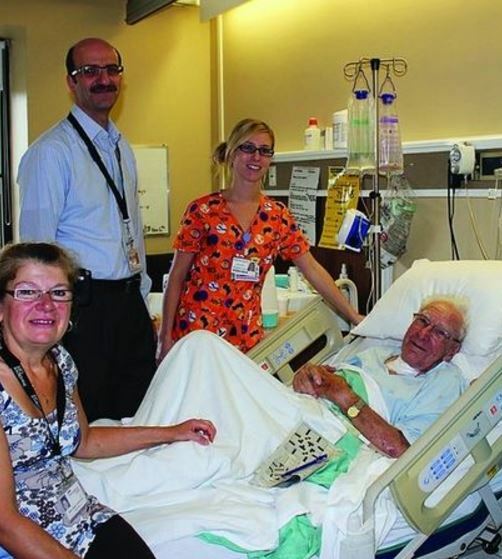 He is ready for discharge and to return to the care home. The nurses enter a few key notes into ReMe so that the care home is aware that the nurses have learnt that he loves to talk about furniture and that he used to make chairs when he was very young as a cabinet makers apprentice, useful knowledge for the care home to continue to engage with. ReMe is currently being used by a number of hospitals, some formerly and others on a trial basis. Each is advising us regarding the specific functionality that they require beyond ReMe’s core functionality. These include such capabilities as accessing previous patient information as acquired in other care plans, patient recognition upon unscheduled arrival at A&E, This is Me digitisation, bespoke reporting and other daily ward needs. We’re keen to work with any hospitals that would like to also explore the possibilities of using ReMe as part of their care process and are always happy to bespoke design the system to your specific needs. 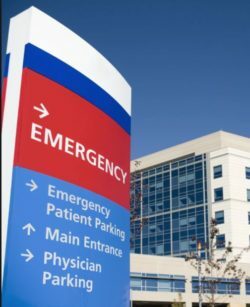 It maybe that you wish to use ReMe between wards, to have it be available at A&E, or wish to generate particular reports. We will soon be commencing studies to establish an evidence base regarding ReMe’s ability to improve the admission process, reduce resort to medication, improve in ward wellbeing, to enhance person centred care and to achieve an earlier discharge. Would you like to assist us with this study? Please contact us directly to discuss the options further.